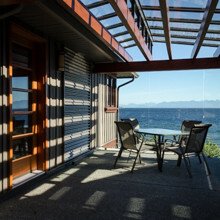 Creating beautiful outdoor living spaces not only enhances the enjoyment of your home, but also the value. 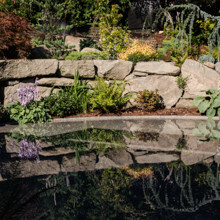 Our mild West Coast climate provides many opportunities to increase your living space: from outdoor fireplace rooms with glass windbreakers / roofs – to rock walls, grottos and reflecting ponds. 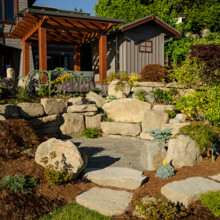 Add a variety of well planned gardens and paths to connect and define these new outdoor spaces and your property will be transformed.